Big things are happening in the small town of Voss, known as Norway’s adventure sports capital. The town will soon be getting a brand new cable car that will soar more than 700 metres up to the top of the nearby Mount Hanguren. 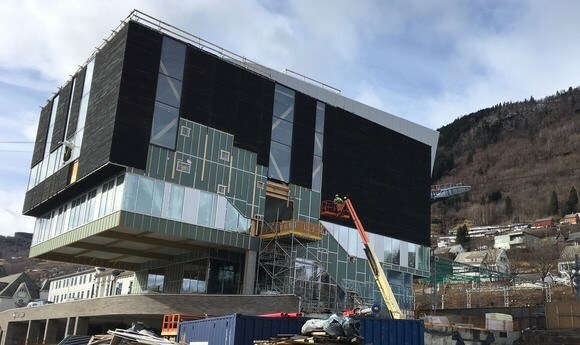 The attraction, which will include nine cabins and have a capacity of 1069 passengers per hour, will further strengthen the tourism industry in this part of western Norway. ‘This is exciting for the town and will open a lot of new possibilities’, says Voss’s Mayor Hans Erik Ringkjøb, who is proud to show off all the building activities across the town. But the new cable car, when it is ready this summer, won’t just benefit the tourists. 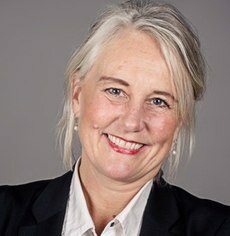 Hanne Heggen Hedenstad, manager at Voss Business Park, believes that it could also have an impact on the town’s thriving start‑up scene. “We are moving to the new offices in the cable car building. This will give a boost to the start-up community at Voss”, she explains. For its size, the town includes a surprising number of entrepreneurs. This includes firms working on everything from extreme sports, through to clean energy and even breeding insects for food. When the new cable car station opens in Voss in summer 2019, these companies will be getting a new home in which to grow and thrive. Voss’s Mayor, Hans Erik Ringkjøb (left), shows off the town’s new cable car, due to launch in summer 2019. Hedenstad suggests that the area’s beautiful nature and good choice of outdoor activities could be one reason why it is so popular with innovators. Every year, Voss plays host to the largest extreme sports festival in the world, the week‑long Ekstremsportveko. Here, you can compete in kayaking, rafting, mtb-bmx, skateboarding, skydiving and a number of other hair-raising outdoor pursuits. ‘The great life-work-balance is why I live in Voss’, Hedenstad explains. The town has two main resorts for skiing and other adventure sports – Voss Resort in the middle of the village and Myrkdalen Mountain Resort a half‑hour drive outside the centre of town. Voss’s start-up companies will soon be moving into a brand new office building in the centre of town. We met two of the most interesting start‑up companies at Voss. They may be separate businesses, but they also have a lot in common: they are both about sustainability, they are in new business areas and both are out there looking for investors. Invertapro is using insect larvae to create a high‑quality and sustainable form of protein. This protein can then be used to produce feed for the fish farming and animal farming sectors. The larvae themselves are able to feed on organic waste, making this a great example of the circular economy in practice. Invertapro is currently working out the right mix of waste sources in the insects’ diet, based on what is available in western Norway. Kitemill is another exciting company based in Voss, which uses kites to produce renewable energy. How does the technology work? First, a kite is attached to a generator on the ground and sent up to 500 to 1500 meters up in the air. The kite then flies in a spiral path, harnessing the wind to create energy in the generator below. Kitemill’s founders say that their system can take advantage of stronger winds at these higher altitudes. Their device also has less of a visual impact than traditional land‑based wind farms.